When you leave our center and go home, we hope that you will take these practices with you, as they will help integrate your experiences and deepen your healing process. Connect to yourself, stretch your body and quiet your mind with our hatha, vinyasa, or yin yoga classes. This is a great opportunity to center your mind, raise your spirit, practice surrendering & connect to your breath before your Ayahuasca ceremony. Prior to each ceremony in the Amazon, we offer floral baths made from various jungle plants and flowers. Guests are invited to put their intention into the bath, asking the spirits of the plants to cleanse and protect them as they enter ceremony. 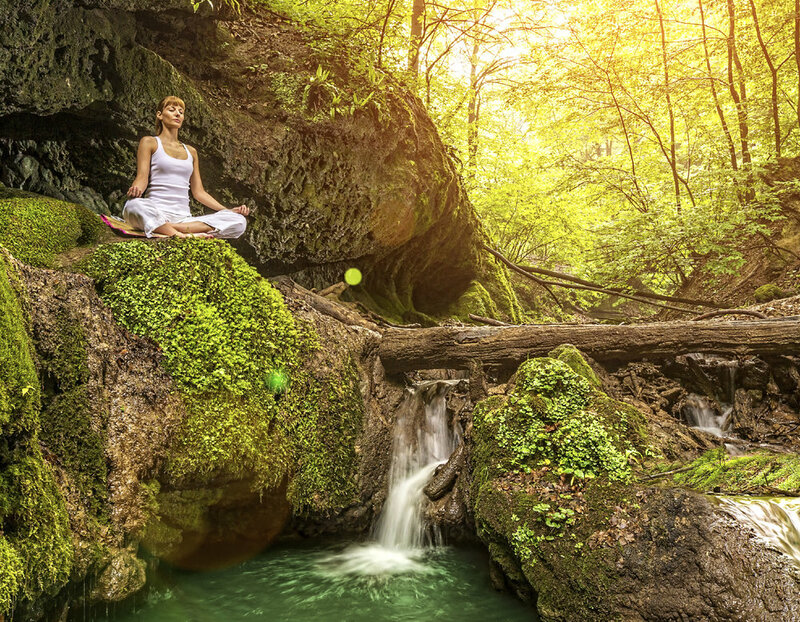 Studies have shown that meditation has similar effects on the brain as Ayahuasca, with over 100 different benefits to the mind, body, and spirit. By allowing ourselves to simply observe our thoughts, without judgement, and cultivating an ability to quiet our mind, we are improving our emotional well-being, focus, attention, energy levels & even our immune system. During meditation, beta waves are replaced by alpha waves, which are associated with brain coherence. The frontal lobes (reasoning, planning & processing information) slow down. The nervous system can rest, resulting in improvedrelaxation & body functioning. The ancient Indian system of yoga identified ‘prana’ as the universal life force or energy that flows through us, via thousands of subtle energy channels called ‘nadis’ and energy centers called ‘chakras.’ ‘Ayama’ means to regulate or lengthen. Pranayamas, therefore, are yogic breathing exercises that nurture this life force, bringing harmony between the body, mind and spirit, making one physically, mentally and spiritually strong. These practices have the ability to quickly release stress, boost the immune system, improve our mental clarity, increase vitality (prana), and calm the mind. Surrender to an audial landscape as we bathe you with meditative instrumentation, including Tibetan singing bowls, shamanic drumming, Native American flute, and chimes. Research has shown that sound healing has great mental and physical benefits. You just relax on your mat, close your eyes, and release any fears or anxiety with this calming therapy.